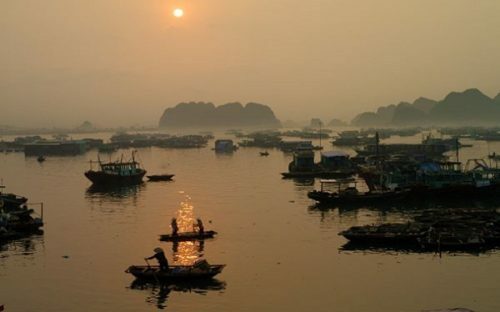 Known as the jewel in Vietnam’s crown, Halong Bay definitely will be a great destination. The fantastic scenery of thousands of limestone islands and islets make the Bay unique and famous not only in Vietnam but worldwide. Unusual rock formations, tranquil Bays, kayaking into seclusion, and much more. 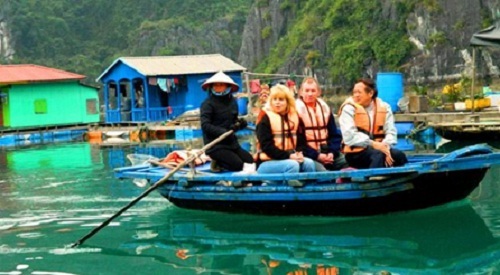 Kick back and relax on Halong Bay luxury cruise. 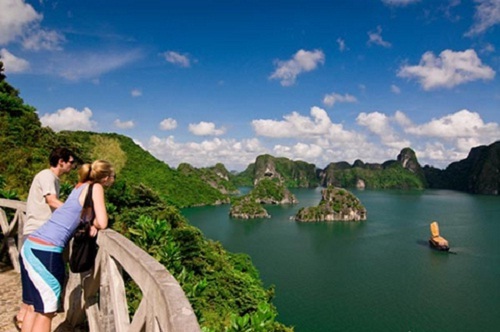 Titop island is one of the best place to get the views of Halong Bay. You can climb to the top to get some amazing views. The stairs seem endless in the heat, when you walk up hundreds of steps to the top of the island you will have a fantastic views of the Bay. Some of the most interesting destinations can be found in unusual places. 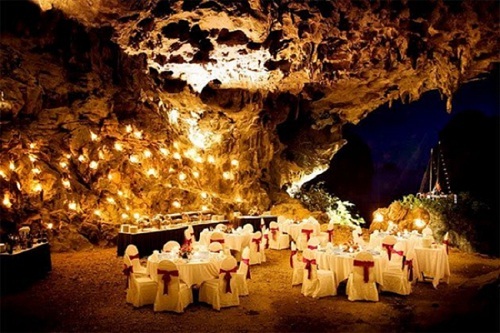 Dining in Halong Bay’s Cave is one of them. The dinner will be an unforgettable experience as much for the delicious and beautifully presented food, as for the romantic setting. Staffs are always on the side, enthusiastically served and pouring drinks for the customers. The scenery of peaceful night on sea made dinner more amazing. The guests could enjoy the beautiful space while savor dinner. Cua Van Floating Village is a floating village with some people live there. What you feel when you see houses, school, small hospitals and transportation are on water? Kayaking around this village is amazing. The people in the village live a simple life, trading fish for other goods from visitors. They seem very happy and are welcoming to tourists. Amazing how they live their life and survive on little. The scenery was incredible. Everything is utterly quiet, traditional and more than beautiful. This is the way nature intended it to be. Taking a rest in Halong Bay – Bay of the Wonders, relaxing on the crystal blue ocean or charming white sand beaches, you will soon forget all the pressure and enjoy your journey to the land of pleasure: wonderful landscapes, fresh and tasty seafood, peaceful atmosphere.